At SOS Survival Products, we sell a wide range of equipment, such as tactical cases, large holsters, complete first aid kits and belts that are designed to keep specific devices in place. Our business provides several belts that have a length of 26 inches to 54 inches. 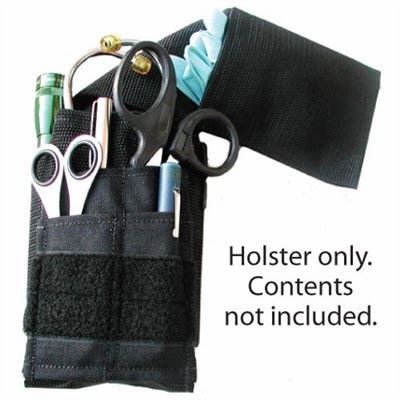 We also sell numerous holsters with extra pockets that can hold shears, a mobile phone, a knife and a flashlight, and one of the devices is large enough to contain a stethoscope. Each of the holsters is resistant to water and oil. Within one minute of the creation of an abrasion, more than one million bacteria can enter the open wound. After using cold water to wash a large laceration, the pad that contains rubbing alcohol should be placed on the wound, and subsequently, a person should fairly aggressively rub the abrasion with the small cloth that contains antibiotics. Applying pressure will ensure that the medications penetrate deeply into the wound. When using the device to remove chemicals from the eyes, the individual should tilt the head sideways and allow the liquid to pass from one side of the eye to the other, and as a result, the fluid won't remain stagnant in the patient's eye and will be able to get rid of a large amount of harmful contaminants. Some of our first aid kits contain patches that have been soaked in iodine. Unlike antibacterial patches, iodine can remove viruses, numerous types of fungus, yeast and protozoa. 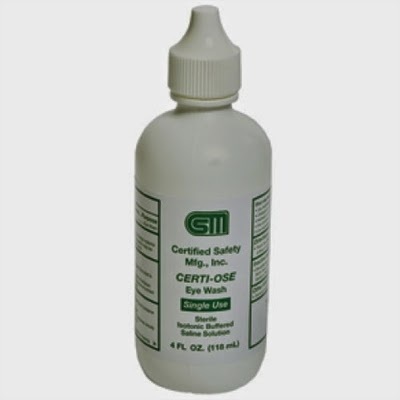 Most handbooks that teach first aid recommend that iodine should be applied to an injury after rubbing alcohol and antibiotics have been used. These patches are completely sterile, and by placing the sheet on a large burn, the patient can substantially reduce the chance of infection. This equipment should be used if a person is having difficulty breathing or experiencing an allergic reaction that is causing the natural airway to close. The device must be inserted into a person's mouth until it comes into contact with the back of the throat. Next, the equipment can be rotated, and as a result, the artificial airway will also keep the individual's tongue in place. Most medical handbooks stipulate that the device should be taken out when the patient can swallow because this ability indicates a natural opening of the body's airway. 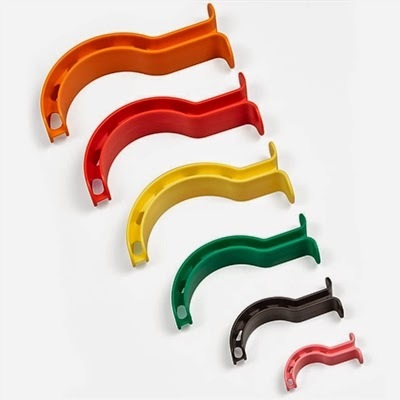 Our deluxe kit has a splint that can be used to treat any finger on a patient's hand. If a bone in the finger has become broken, the digit should remain straight until it heals in order to minimize the pain and to ensure that the bones heal while they are in the correct positions. In addition to preventing harmful dust or particulates from entering the nose and the mouth, these devices will protect the eyes from contaminated water or blood. The masks also wrap around the user's face to protect the sides of the head. Some kits that we sell contain packets with burn gel. The substance cools the burned area and has lidocaine, which blocks pain signals that travel from the burn to the brain. 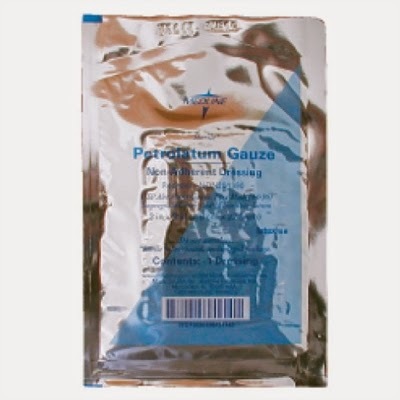 Numerous studies have indicated that the application of petroleum to an open wound can prevent an infection and allow the laceration to heal much more swiftly than an untreated abrasion. By keeping the cut constantly moisturized, the blood's platelets will be able to coagulate more swiftly, and the petroleum can reduce the risk of developing a large scab. When a patient sustains a sizable abrasion or laceration, the most common cause of death within the first hour is a serious loss of blood. These steel devices are able to control bleeding by clamping onto blood vessels that are situated near a large wound and closing them. Some of our first aid kits and trauma kits contain cold compresses, and once they have been activated, these devices will remain cold for approximately three hours. Several studies have shown that applying a cold cloth or a frigid object to a wound can decrease the level of inflammation by 25 percent.